Love tutorials? So do I. So you'll also love this great blog that EviesToolEmporium on Etsy introduced me to. 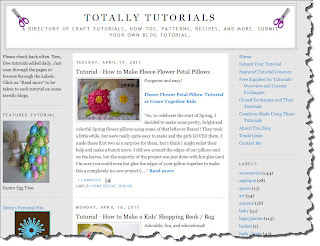 It's called Totally Tutorials and it's a totally free resouce to access and submit your own tutorials. What a great idea! Totally Tutorials is wonderful! Always a new project to make! Wonderful Blog, thank you for sharing!